Left over black-eyed peas? Try this salad! In medium skillet sauté onion and garlic in juice of black-eyed peas on medium high heat, for about 3- 4 minutes or until onions start to turn translucent. Add corn and cook another 3- 4 minutes, stirring being careful not to burn, juice will evaporate. Turn off heat from under skillet and prepare other vegetables. 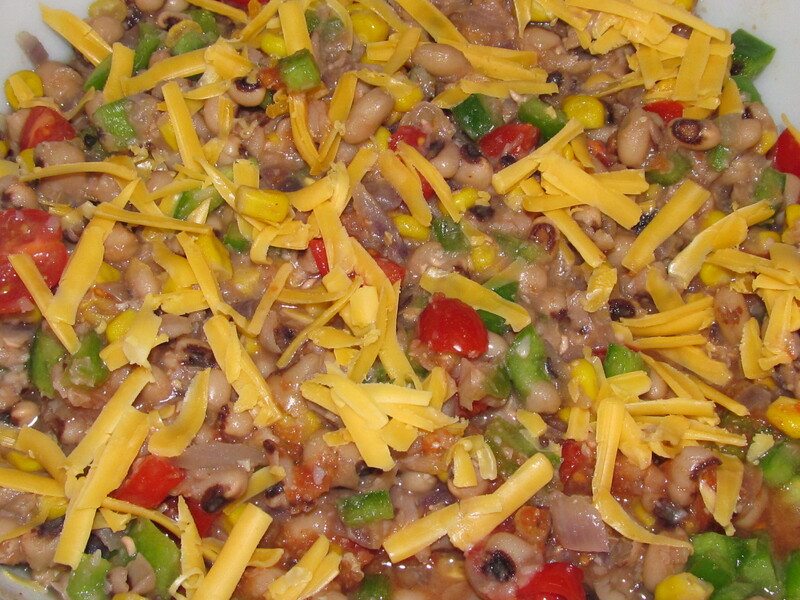 In large bowl add drained black-eyed peas, chopped bell pepper, tomato, and salsa. When onions, garlic and corn are cool add to black-eyed pea mixture. Top with grated cheese and refrigerate or serve.